I LOVE THIS THING! It has made set up and clean-up so much easier. I highly recommend it! This is probably my favorite face-painting item I’ve gotten in YEARS! 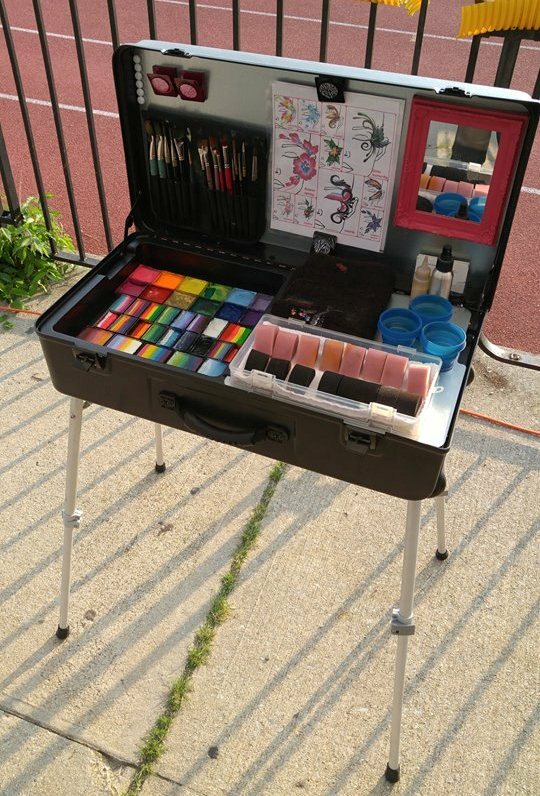 I LOVE my new face painting kit! It is OUTSTANDING! Thank you SO MUCH for creating this incredible amazing product. I am in LOVE! Thanks again! I've had the Craft-n-Go for a while now, and I LOVE IT! Big fan! 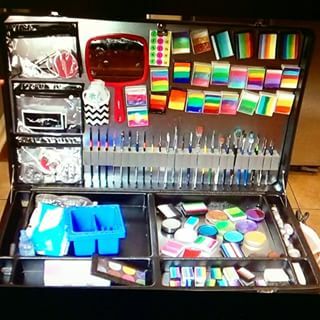 My Craft-n-Go Workstation is AWESOME! I Love it soooo much! My Craft-n-Go paid for itself in the first week! My tips increased by leaps and bounds! I set up my new Craft-n-Go Workstation in less than 2 minutes! See the race between my old set up and the Craft-n-Go Workstation. 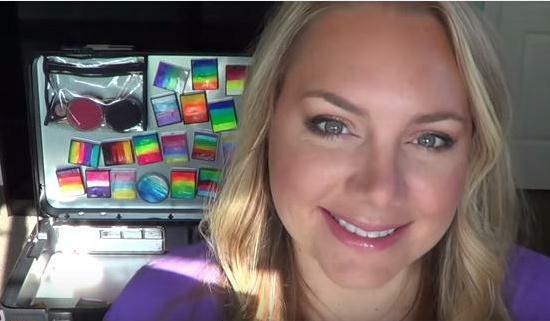 Craft-n-Go Video Review #1- this is how amazingly fast I set up my kit now! I'm loving my CNG!!! Best investment I've made into my business so far! I love how quickand easy it is to setup and pack down and I feel super special with my cute little purple case filled with face paint magic! Wonderful case. Innovative design and so sturdily built. Suitable for many things, in my case: face painting! Love it! Well done creating something so useful, thank you! Well-built table. I am sure this is going to last for many years of not a lifetime. 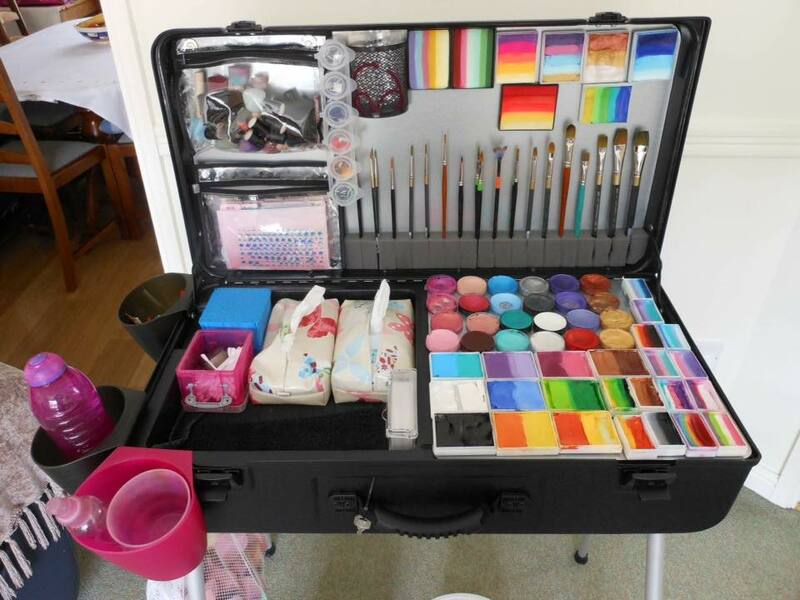 I am using my table for my face painting business and I absolutelylove having everything in one place. Set up is now a breeze and takes only a couple of minutes.Thank you Craft-n-go for great customer support & a wonderful product. This is the fastest and most professional set up I have ever had! Well worth the investment! Thanks so much! I have the original, black CNG. Love it for face painting. Heavy duty, professional,and saves so much time setting up at packing away for gigs. Wonderful customerservice. Remember, you get what you pay for! 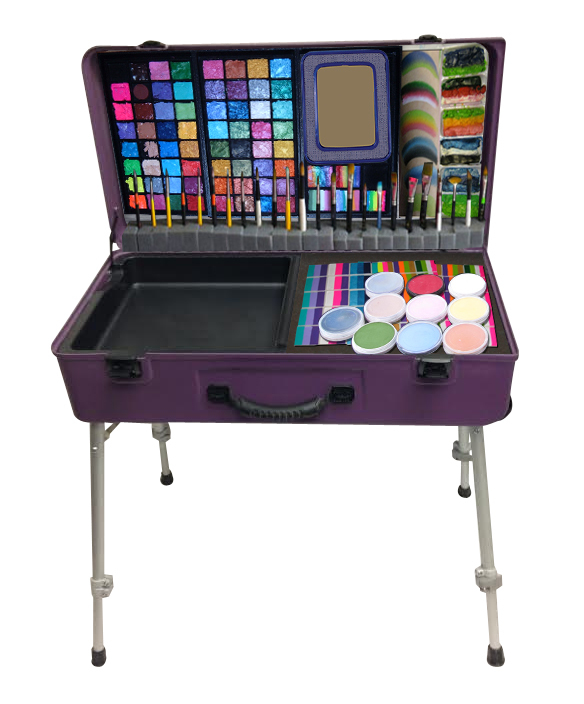 If I saw this case first, I could have saved my self about ,1500$ buying other cases, bags, tables and had that money for more PAINT, lol. I love my CNG table! It has taken my face painting set up time from about 13 minutes rushing, to about 3 minutes! It's saving me around 20 minutes at each event I do! Love love love my new case. What a game changer product an absolute must have!!! Thank you Cynthia for my new craft n go. I absolutely love it and still trying tofind the perfect arrangement for all of my things. I have a new motto, "If it doesn't fit in the kit, I don't need it"! 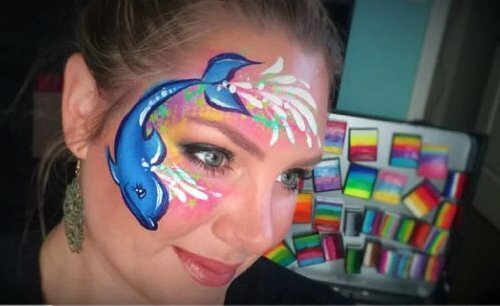 I don't know about y'all.. but my heart just drops when i see face paints together with craftngo.... just wow! This, my friends, is a thing of beauty! Adjustable legs, wheels and bigger than my DJ Hero case. Very well made and professional looking case. Confident that this is the last face painting kit I will have to buy. Craft-n-go. 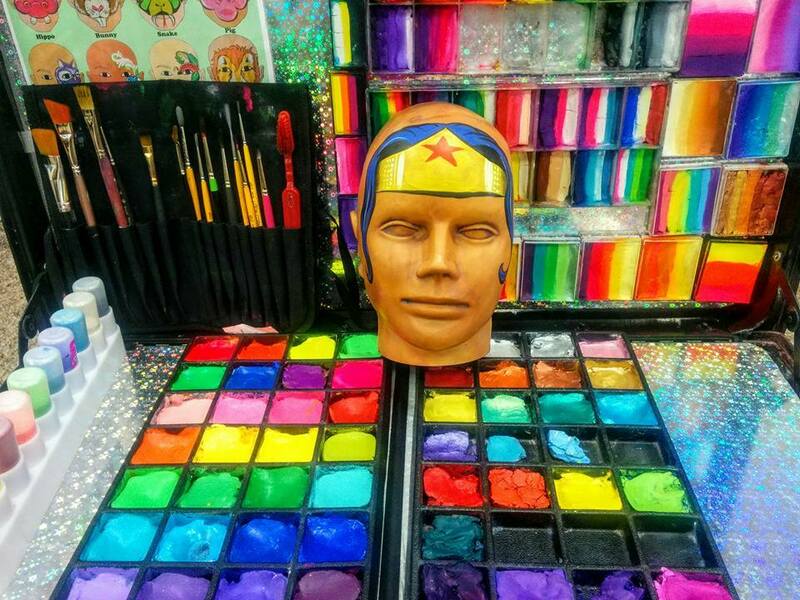 Thank you Cynthia for your hard work and dedication just for the face painting community. Love, love, love the case. Now the fun of putting it all together. Could not be happier. I love that about Craft-N-Go! I too have been in a situation with on and off again rain and was just able to close up quickly, wheel it inside and then set up again, just as fast. You rock! I love it, worth every penny! Im still in love, I just love the way I look more professional. Thanks again Cynthia! I was SO thankful for my Craft-N-Go yesterday! After work, I went to work face painting at a wonderful school event. It was outdoors and the weather decided to play "what will I be" every five minutes - hot, muggy and windy one second, pouring with rain the next and so on... because of Craft-N-Go I was able to just close my lid fold up the legs of the table and quickly wheel it into the building when it rained. And it was sturdy enough to handle the grassy, turning muddy terrain easily. Thank you again Craft-N-Go for this amazing product!!! Got to use my new set up tonight and just love it! Very easy to use and everything is so organized. 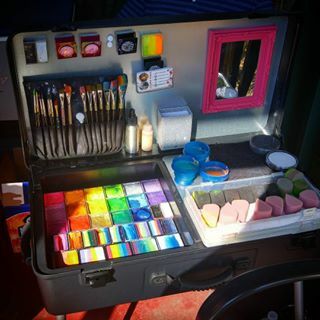 I have all my paints velcroed in place and everything else fits right in the case for travel. Looking good so far!!! I'm loving it! Thank you! 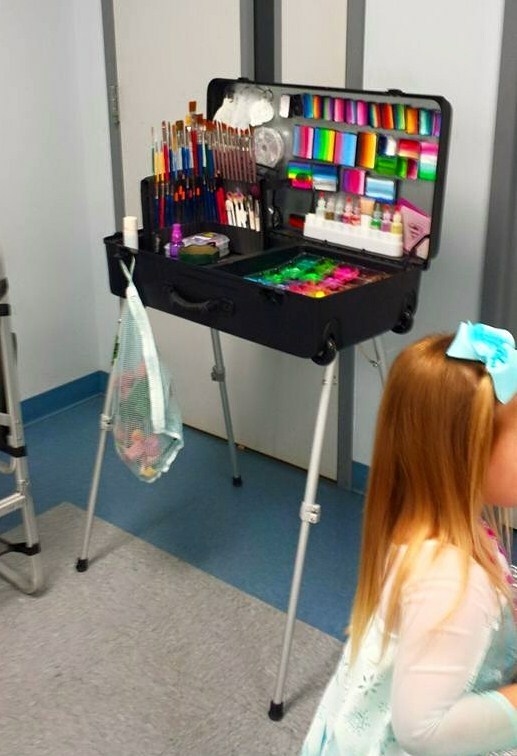 I wanted to share how fast it is to set up your face paint station with Craft-n-Go. Seriously... buying this thing was one of the smartest purchases I have ever made in all my life. If I could marry it I would. Open and ready for business, packed up and ready to leave in less than two minutes ...used to take me at least 15 to 20 minutes... closed and ready for the next gig. Love love love it. Craft N Go for the professional face and body painter. Taking my Craft-N-Go into Melbourne city today via the good ole tram! First time taking my kit on public transport- going great so far!! Just sharing the love. Received my Craft N Go and now I'm ready to go...... One of the best investments I've bought yet!!! My new love! Used it for the second time today. Here is my new set up ready to go....I already used it last weekend and loved it! Here's how I turned the table top trifold into a glitter tattoo set up. Its awesome set up is really fast and it folds up really easy I love it!!! My craft-n-go is looking mighty fine! I finally had a sign made for my CNG lid. Now I've got a billboard with me wherever I paint! Loving my new craft n go face paint kit! So, I just received my table right before the start of the weekend. I was able to start using it right away. Plan to get everything situated where I want it this week but I love it!!! It's not as heavy as I thought either. Jobs where I need a board are not a problem anymore all faces are interchangeable with Velcro so take what I need and stick to my craft n go table lid!! Love it! No more dragging a board along! Craft-N-Go to the rescue once more! I had a last minute 'squeeze in' booking for New Year's Eve which meant I had only 30 minutes to get from one venue to thenext. Once again I was able to just fold up my brushes, close up my case and go; getting to my next event with plenty of time. I love it so much. Thank you for such a great product, Craft-N-Go! 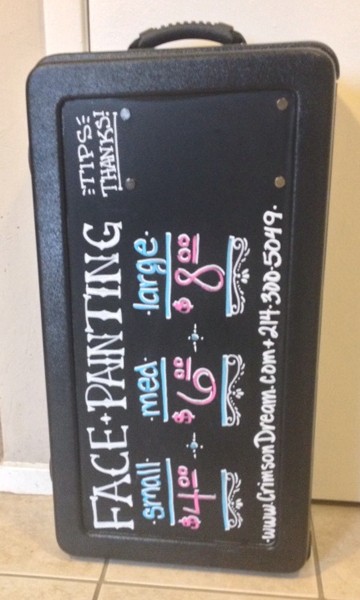 Innovative product for crafters or anyone who wants to take their hobby with them! 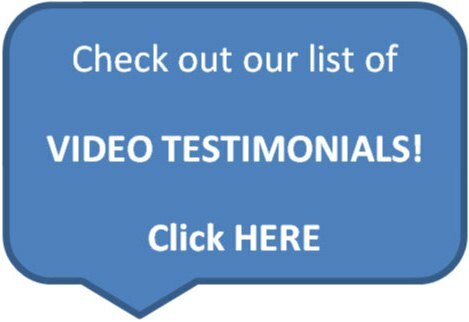 Become one of Craft-n-Go's many happy customers!